Prepare yourself to love all the products Noonday offers and get addicted to shopping with a purpose! I held my first orphan in 2008 in Liberia, West Africa and God has been changing my heart daily since. He challenges me to stand up for HIS people and be their voice. 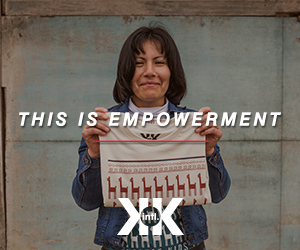 I am excited that I get to do that through Noonday and share the stories behind the gorgeous pieces and products. I am honored to get to advocate for the poor and oppressed. My favorite part of Noonday is hearing the artisans redemption stories. Their beauty drives me forward as there is so much glory in each artisan. As far as style goes I am a very casual girl. I have to be to keep up with my kids!Although you will usually see me in jeans and a t-shirt that doesn't mean I don't like to dress up. Quit the opposite is true and I love being able to bring out the “girl” in me by showing off unique Noonday accessories. I love carrying around the NEW Betsie bag that is stitched together in Rwanda. This season my go to jewelry pieces are the dream catcherearrings from India, the orange blossom bangle made in Vietnam, and the lovely loops necklace pieced together in Uganda. During this spring I will also keep warm with the Azul Infinity which is handmade is Guatemala. You can order directly from me or you can go to my site to make a purchase. *To view Noonday Related blog posts click here!